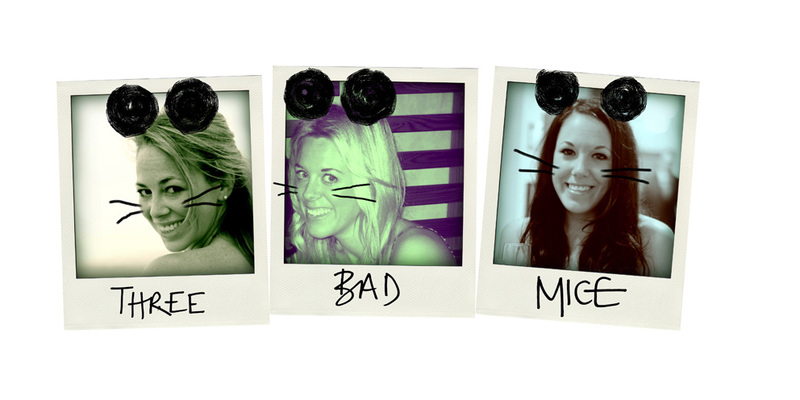 Three Bad Mice: Mice Advice...Green Get-up! Mice Advice is back again and this time helping out one of mini mouse's besties, Kim. Kim and I became firm friends from the word go in year 7, since then our love for fashion has grown together...from H&M LOGG sport to saving up for a top from Jane Norman (secretly so we can use the bag at school for our folders!) to spending hours riffling through vintage shops for special finds! I love this silk (not real, but silk touch fabric) emerald green mini dress - the knot rouched front is sure to look hot and I know will look amazing on Kim's tanned skin, at only £38 what a bargain! 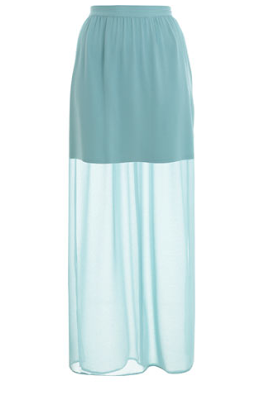 If you're after something a bit more casual, then why not opt for this gorgeous, floaty maxi skirt. Bang on trend in a pretty pistachio, pastel green but not too girlie with the short skirt under the sheer maxi overlay. Team with a tight black vest, some chunky gold jewellery and BAM what a pretty little leprechaun! £37 from Miss Selfridge. My final suggestion has made the list, simply because I saw them and thought KIM KIM KIM!!! 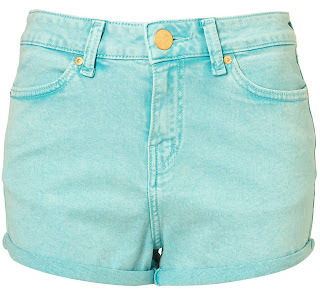 These bleached, high waisted mint shorts are so cool they hurt! With the cute skinny turn ups and amazing colour, all I can think is amazing patterned tights and a simple cashmere Topshop vest...St. Paddies day or not, we all need to invest, £28! For added info...the cashmere vest referred to above are my fav wardrobe staple, slouchy, cool and extra soft. £20 from Topshop. I hope this helps and i'm not too late....you're always last minute anyway!! Keep us posted and if you get any of the above we want photographic evidence for a follow-up post!!! Now have fun....! Need some Mice Advice? Send your all your questions to us at: 3badmice@gmail.com.